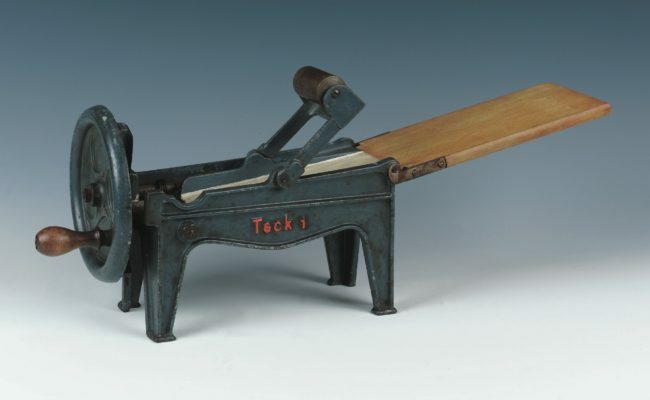 Lokshen making machine brought to England from Russia by a Jewish woman who emigrated at the end of the 19th century. 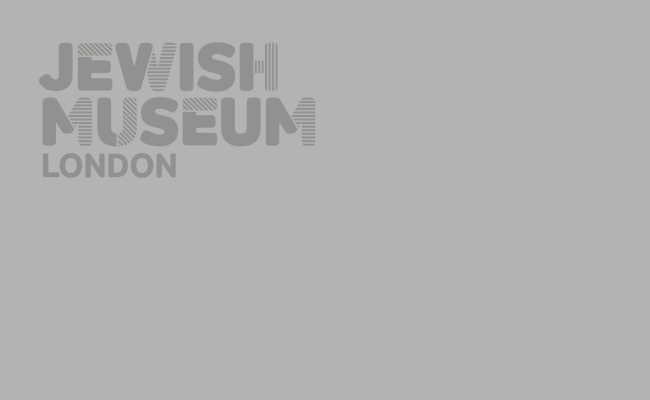 Lokshen is the Yiddish name for thin noodles. 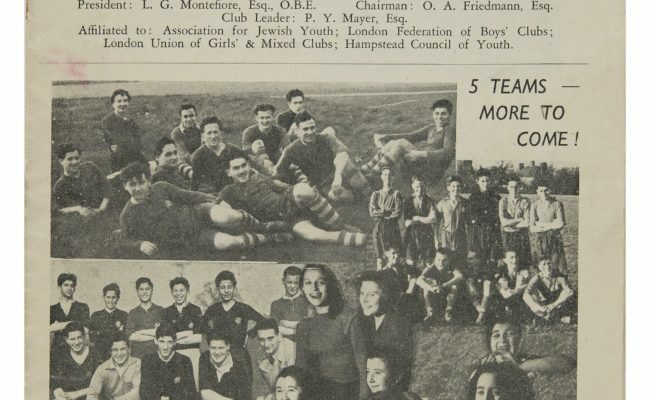 Primrose Leaves magazine which was produced by the Primrose Jewish Youth Club. 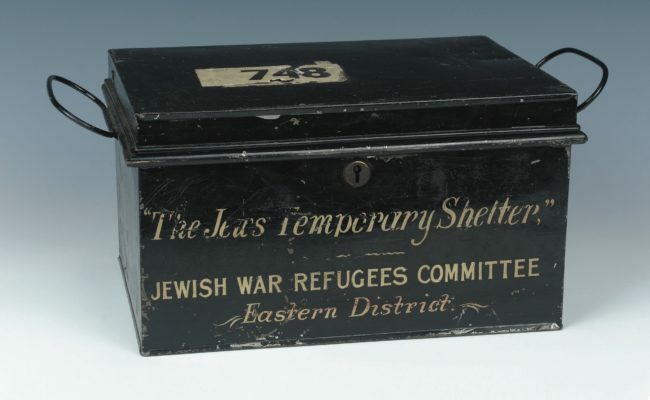 The club was founded in 1946 by young survivors of the Holocaust. 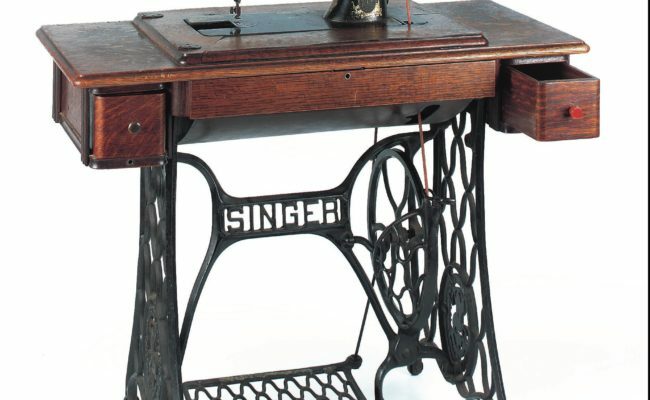 Singer sewing machine dated from around 1912. 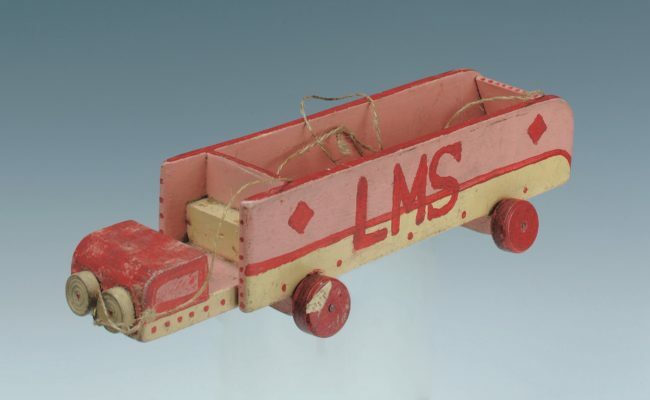 It was owned by a family in the East End and used for both commercial and private purposes. 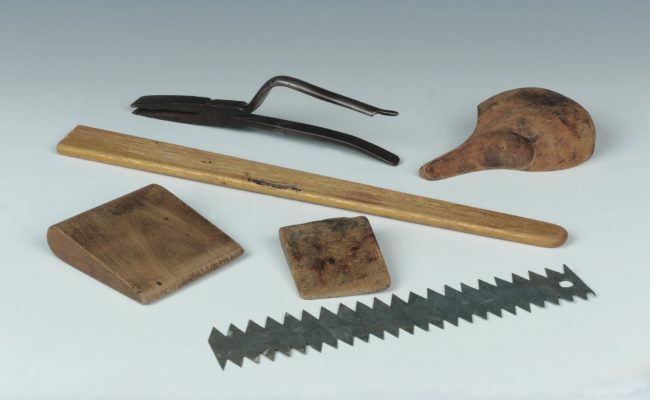 Furrier hand tools belonging to Matthew Shaw who was a furrier in the 1920s and 1930s. 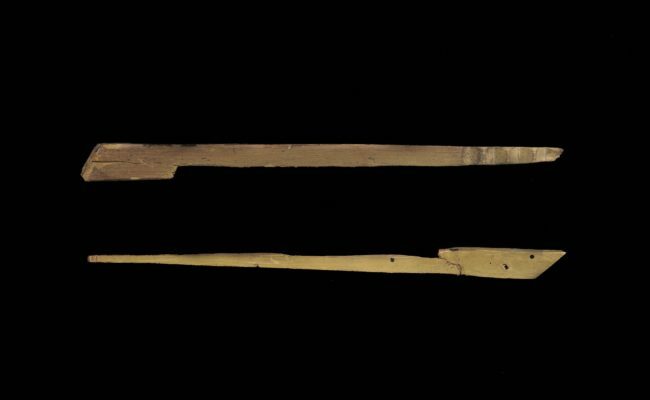 They would have been used to shape fox heads for the fox head fur stoles. 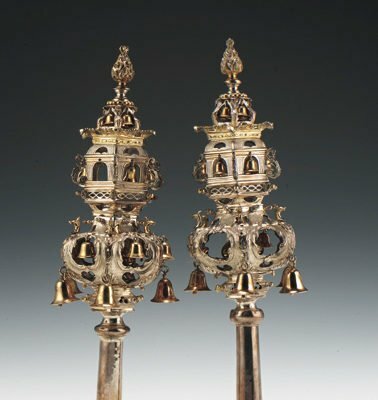 This circumcision set dates from the late 18th century. 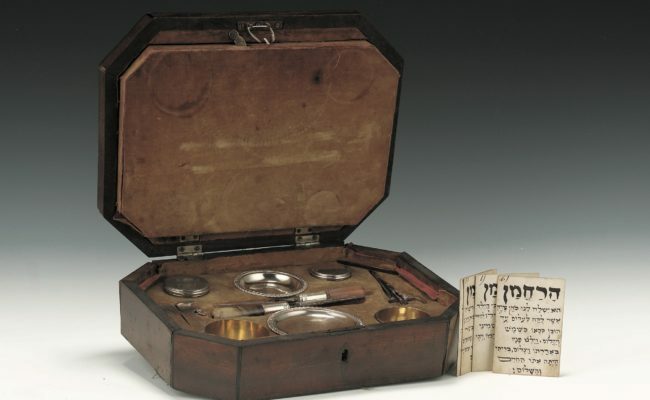 It was probably used by a mohel (a person trained to perform circumcisions) in Exeter and the surrounding area. 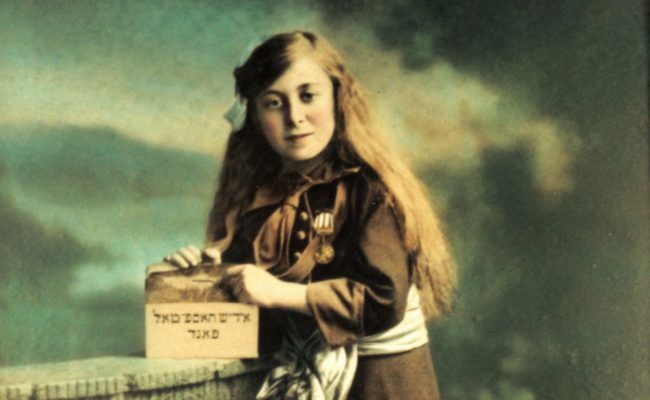 Photograph of Dora Shuster, by Isaac Perkoff, holding a collecting box marked “Jewish Hospital Fund” in Yiddish. 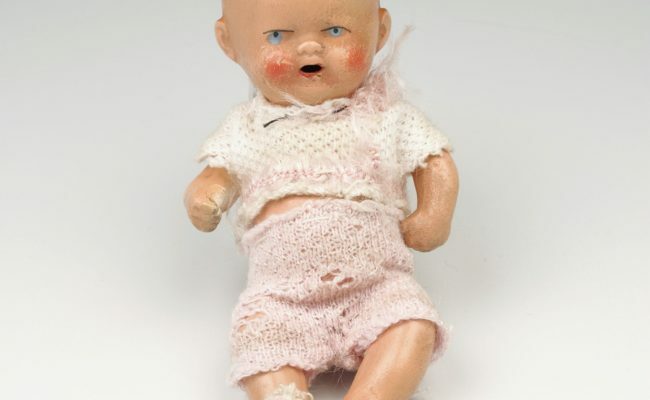 This doll belonged to Edith Rothschild, who was born in Frankfurt in 1925. 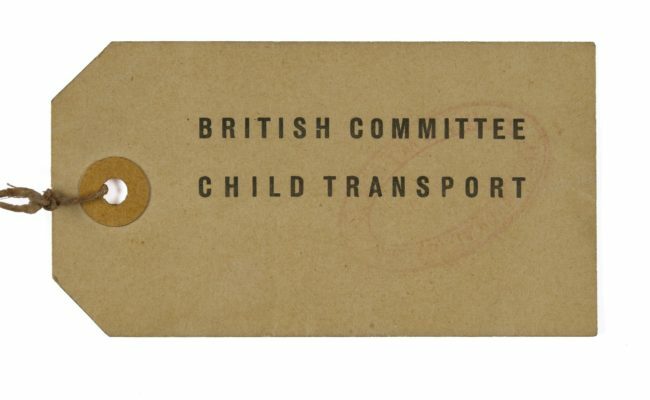 On 11 May 1939, Edith came to Britain on the Kindertransport carrying the doll with her. 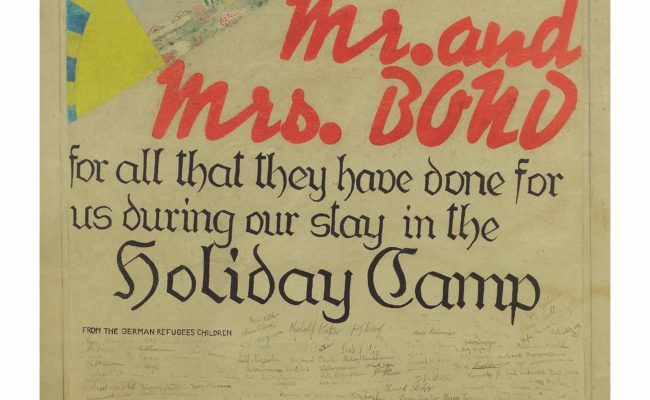 Thank you card made and signed by young refugees of Dovercourt Bay Holiday Camp (near Harwich) addressed to Mr and Mrs Bond, the camp manager and his wife. 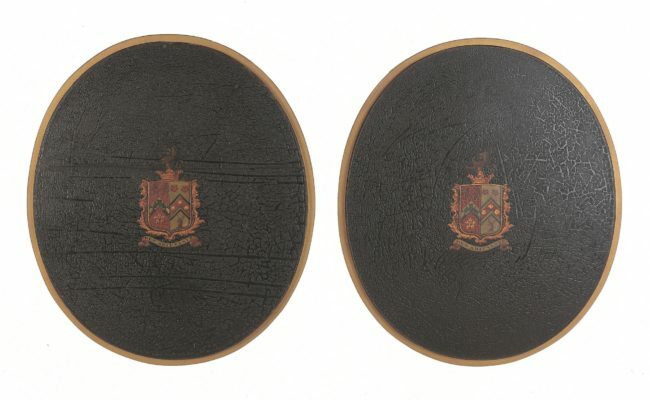 Carriage doors painted with the coat of arms of the family of Sir David Salomons, a major figure in the 19th century campaign to secure equal rights for Jews in public life. 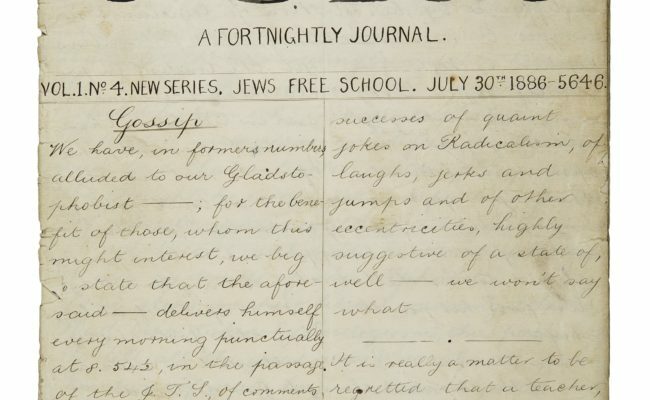 This is an issue of Ours, a fortnightly journal which was produced by the Jews’ Free School. 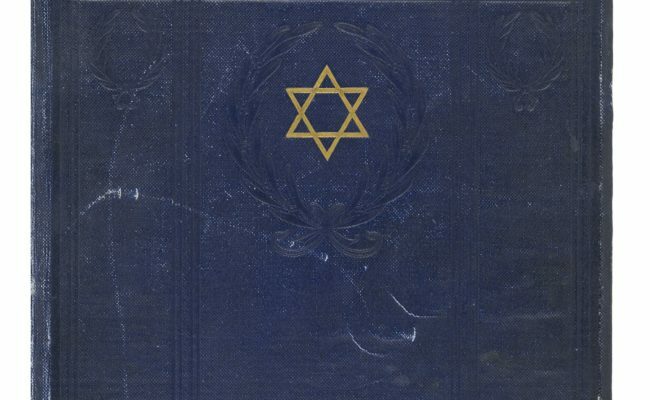 This handwritten copy dates from 1886 and includes humorous and satirical essays, sketches, songs, and a chess column. 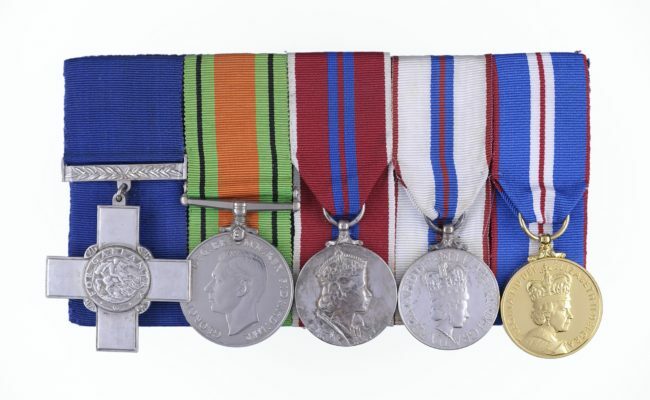 George Cross medal, the highest civilian award for bravery, awarded to Harry Errington during World War II. 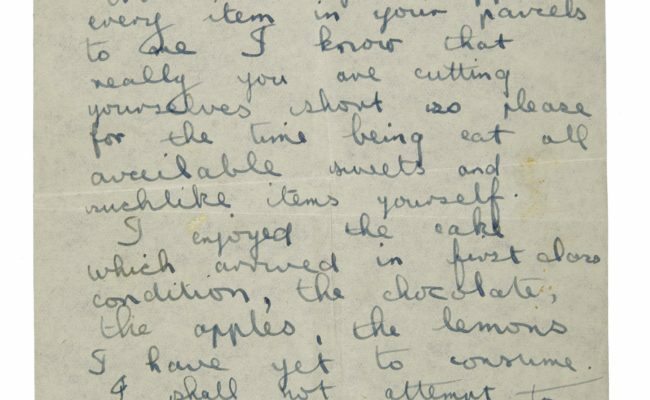 A letter writen by Alec Silver to his mother on the day of his death. 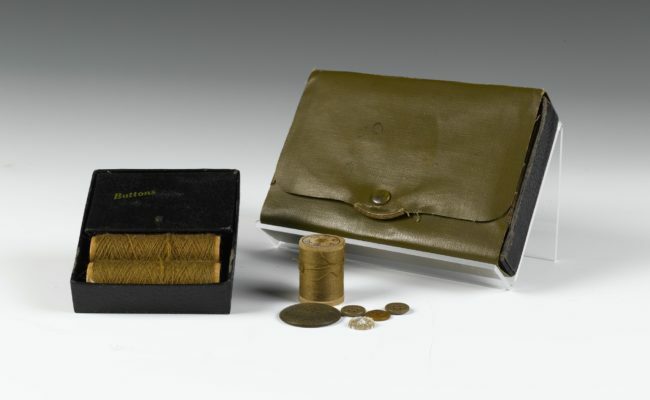 Alec was a private in the Royal Army Medical Corps and was killed on 7 March 1945. 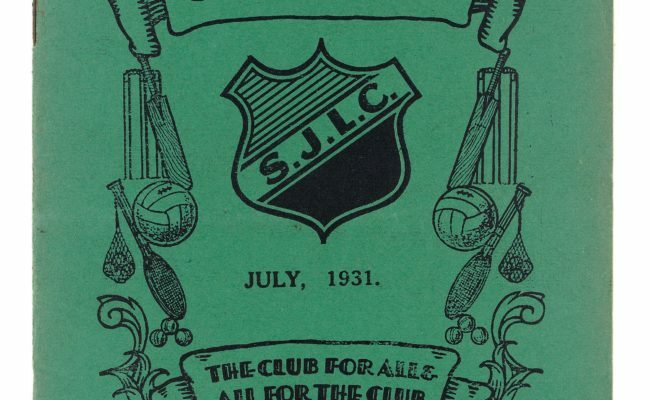 Pamphlet produced in the late 1940s by the 43 Group. 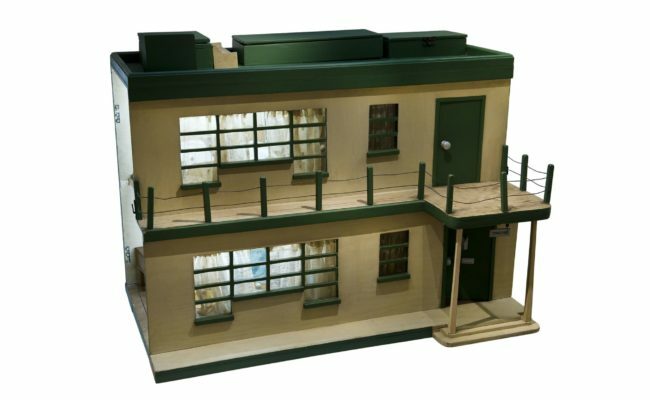 Based on an actual house in Angmering-On-Sea, this modernist style doll’s house was made by Malcom Liblind for his daughter, Thelma. 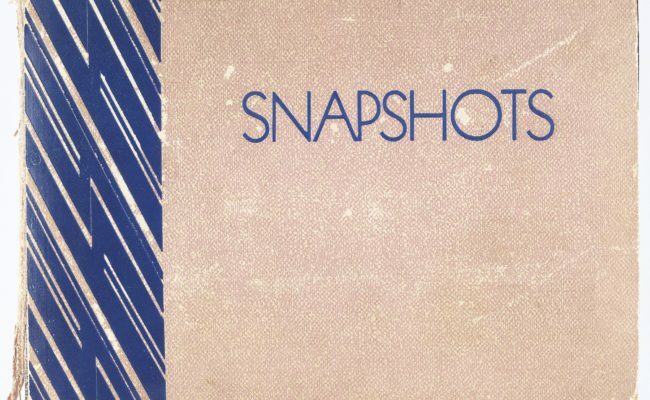 Photograph album belonging to the Solomons family during 1930s. 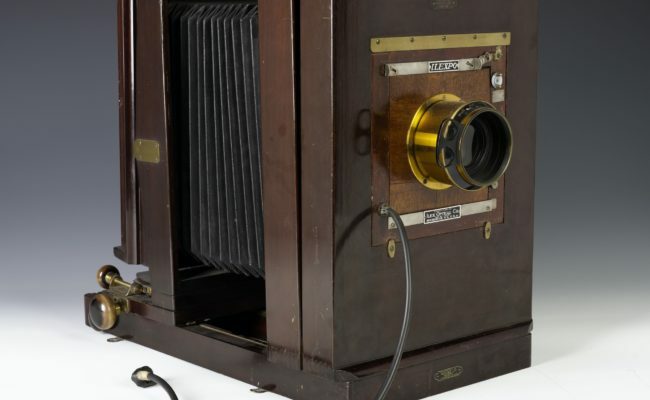 The father, Maurice Solomons, was a Romanian immigrant who came to England in 1900. 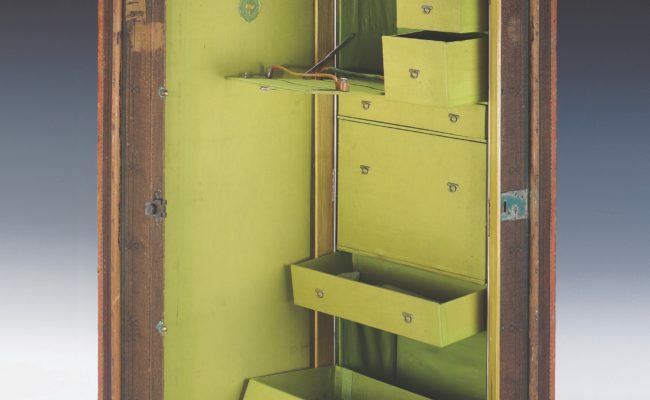 Collection box was made by the Jewish furniture firm S Hille in 1924 for Louis and Ada Krendel, who lived in the London suburb of Brondesbury. 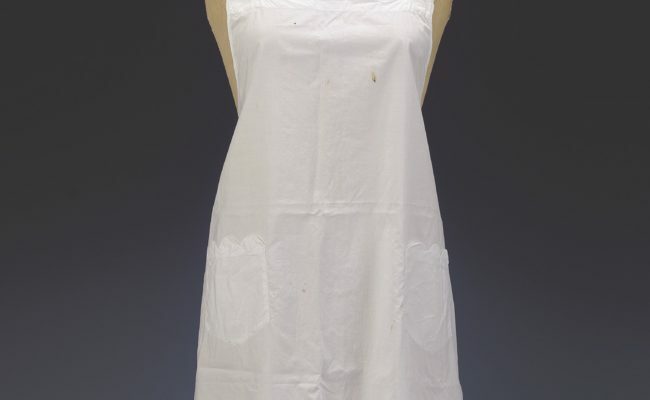 Apron worn by Lisbeth Sokal, who came to Britain in 1938 as a refugee from Nazism. 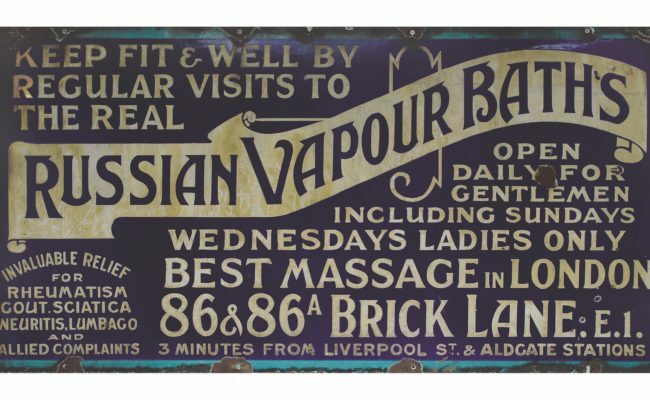 Lisbeth was granted a visa to work in Britain as a domestic servant. 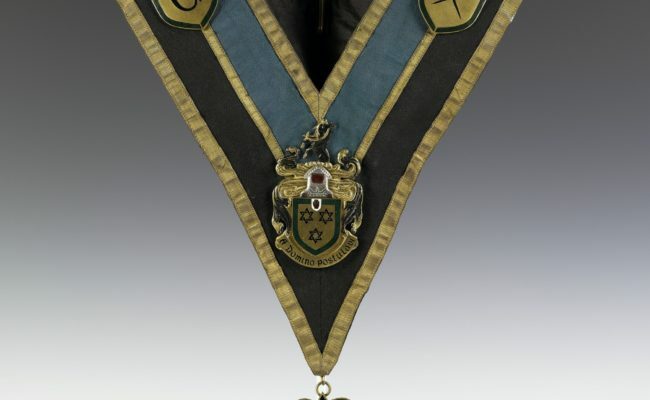 A collar from the Stuart M Samuel Lodge, Order of Achei Brith Friendly Society. 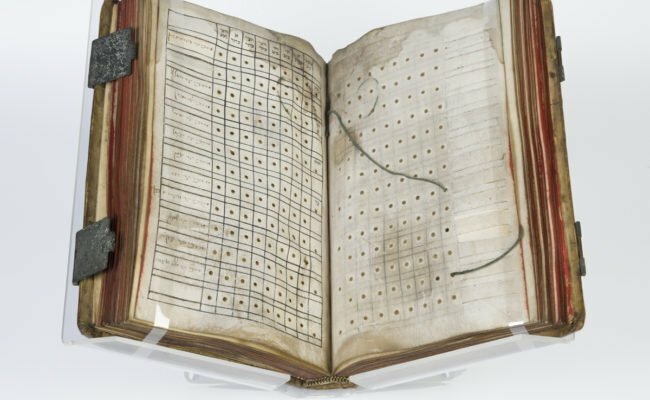 In return for weekly contributions, members of the society received payments to help them in times of illness and death. 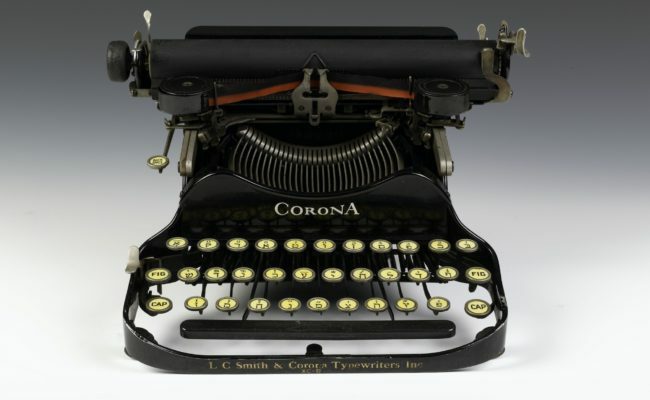 Yiddish typewriter belonged to the playwright Abish Meisels a central figure in the New Yiddish Theatre in Adler Street as a playwright and prompter. 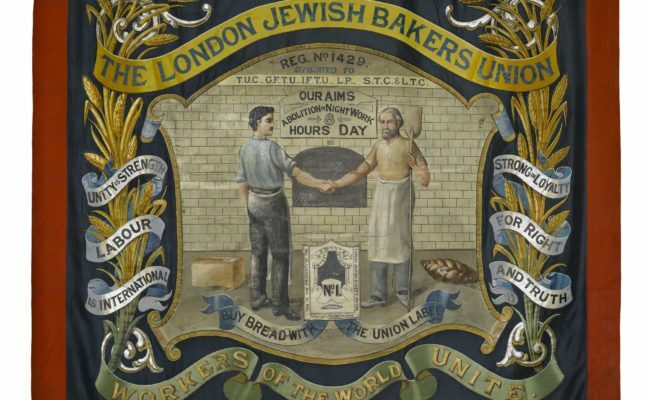 Scagliola tablet, part of a wall decoration in the estate of Moses Montefiore in Ramsgate. 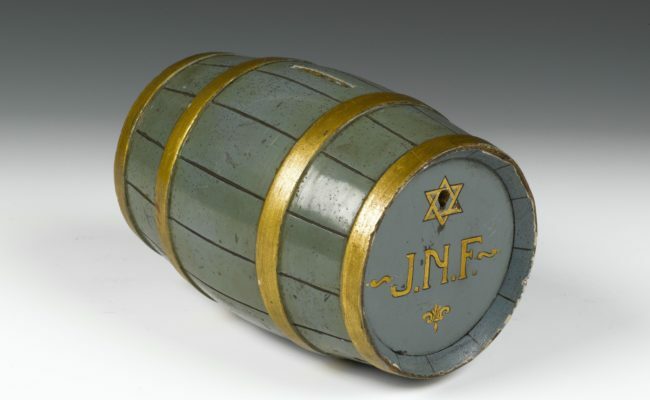 Montefiore was a prominent 19th century British Jewish leader and activist for worldwide Jewish causes. 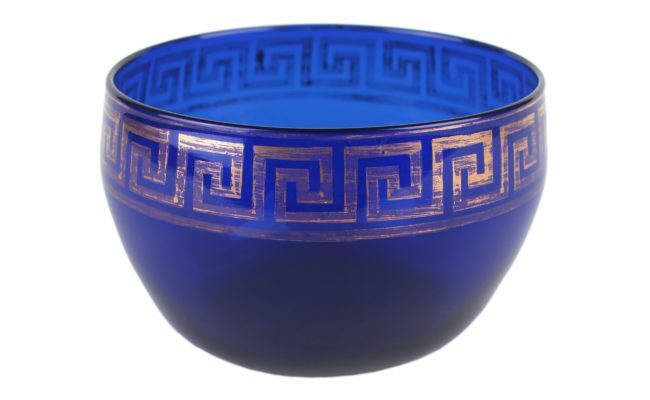 Blue glass finger bowl, dating from the early 19th century, made in Bristol by Jacobs’ Glass. 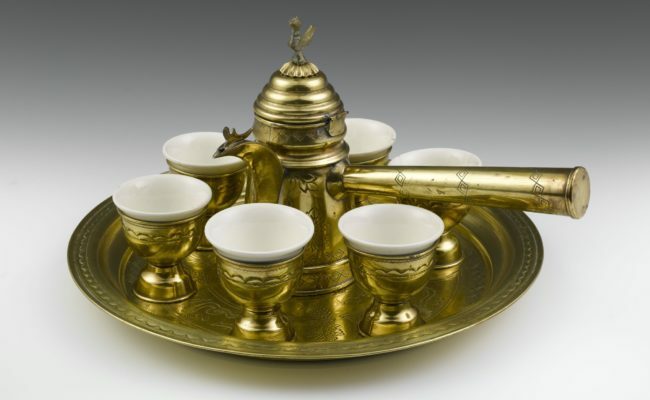 The company was founded in the late 18th century by Lazarus Jacobs and his son Isaac. 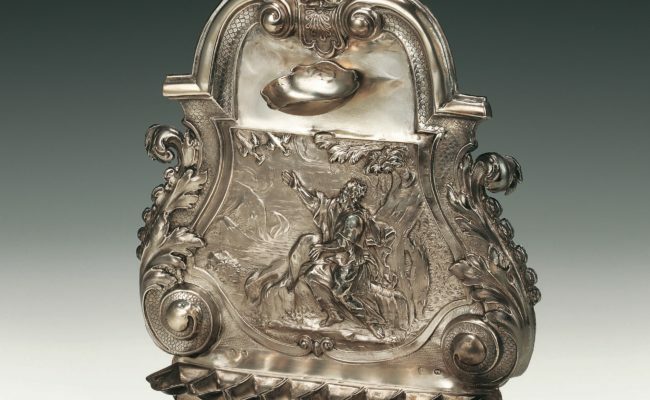 Silver presentation box, presented by the Glasgow Hebrew Community in November 1887 to Michael Simons, the first Jewish magistrate in Scotland. 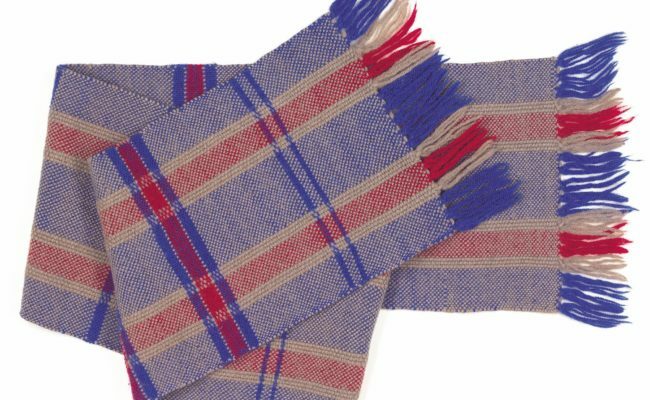 This scarf was sent as a birthday present from Alexander Fainberg to his fiancée whilst he was interned in Onchan Camp on the Isle of Man. 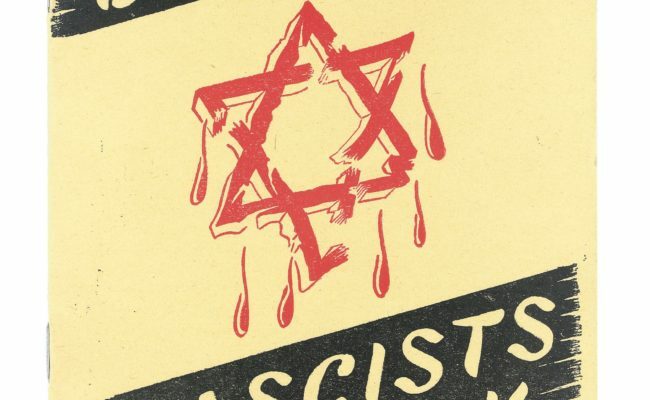 He was released in July 1941 and married his fiancée in November of that year. 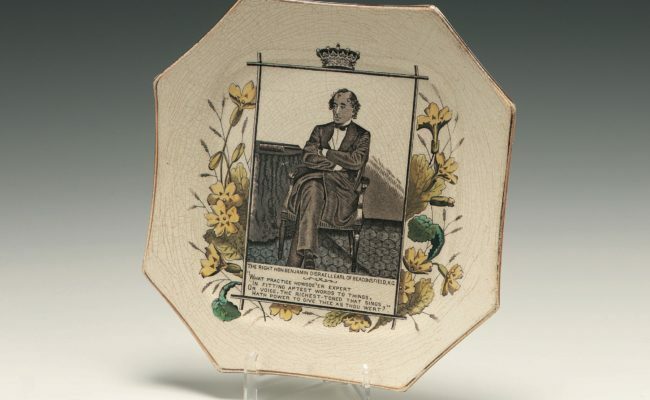 Plate produced in Staffordshire around 1876. 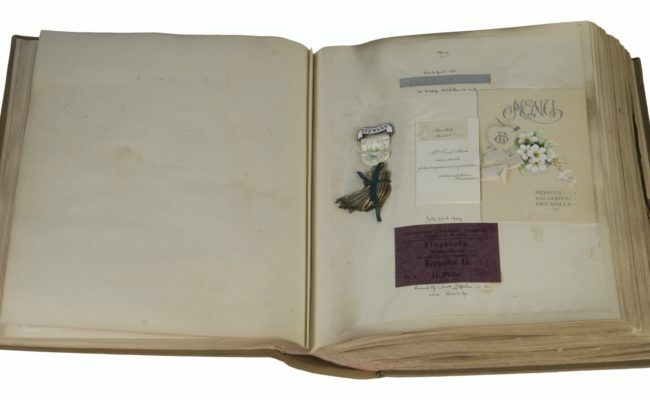 It is decorated with a picture of Benjamin Disraeli and primroses, Disraeli’s favourite flower. 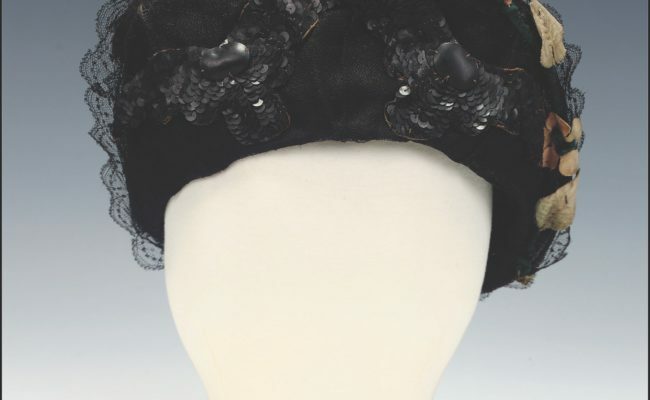 Bonnet belonging to a Jewish woman who migrated from the village of Nowy Dwor in Poland to Wales in the late 19th or early 20th century. 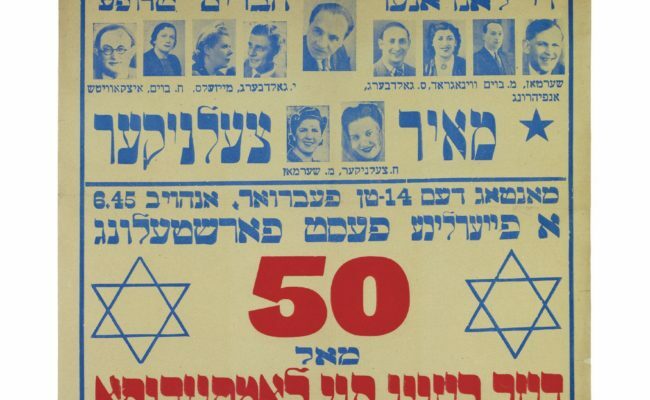 She would have worn the bonnet over a sheitel, a wig traditionally worn by orthodox Jewish women to cover their hair. 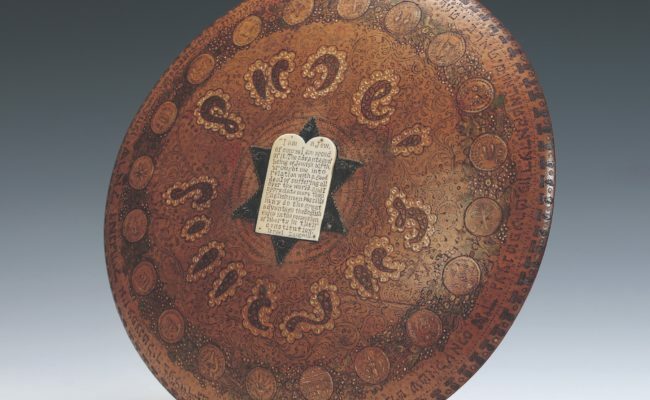 Decorative plate presented to the prominent writer and political activist Israel Zangwill in 1915 by Morris Myer, editor of the Yiddish newspaper, Di Tsayt. 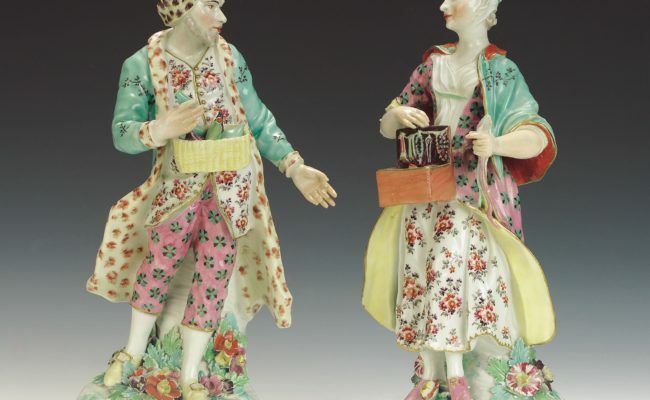 Pair of derby ware figures, dating around 1760 from Stoke-On-Trent, represent an increasingly visible sight in 18th century England: the Jewish pedlar. 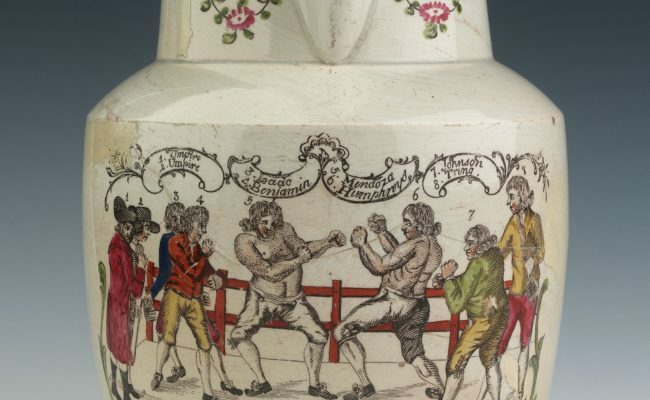 Staffordshire pottery jug, dating from around 1800, depicts a famous fight between Mendoza and Richard Humphreys in 1788. 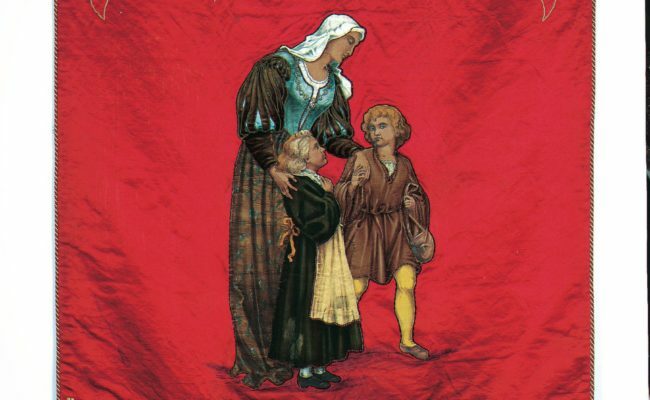 Banner of the Norwood Orphanage, now the childcare organisation Norwood, commemorating the founding of the Jews’ Hospital in 1795 and the Jews’ Orphan Asylum in 1831. 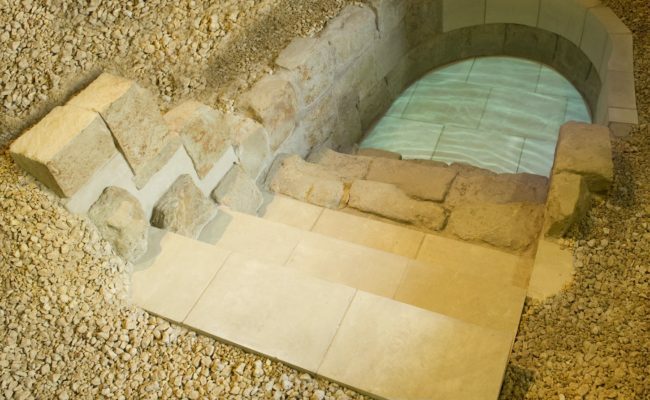 Mikveh dated from mid-13th century, discovered on a building site in London in 2001. 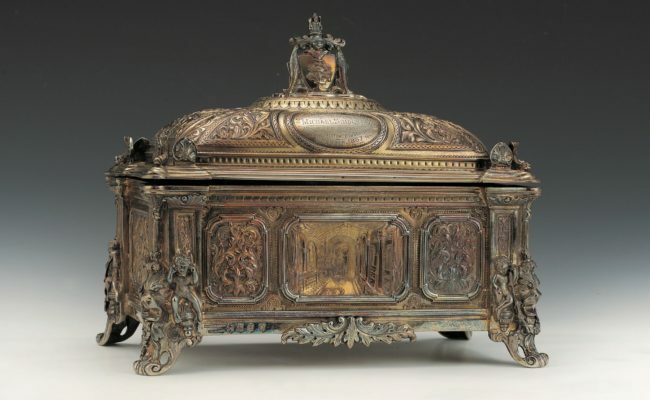 It was built in the home of the Crespin family. 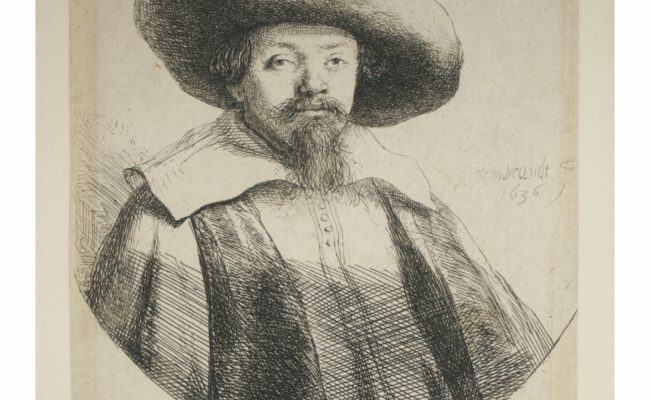 Portrait of Menasseh Ben Israel, distinguished Amsterdam scholar, who played an important role in the readmission of the Jews to England.